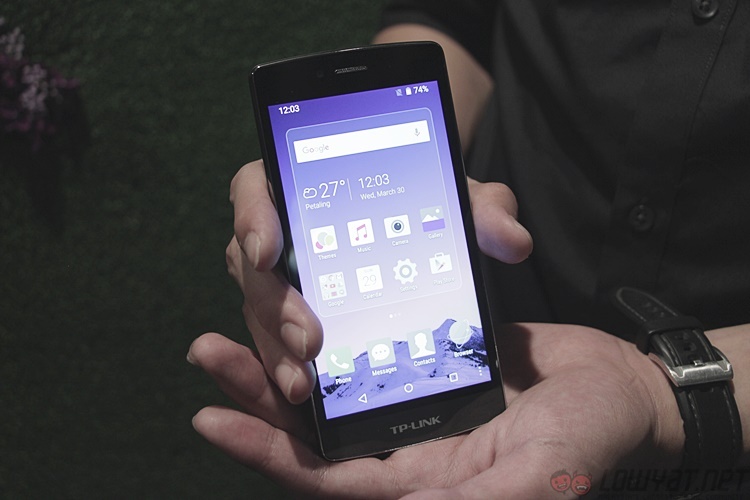 TP-Link has entered the Malaysian smartphone market with two budget devices in the Neffos C5 and C5L. Neither really stands out in terms of specifications, but they are both LTE capable devices with dual SIM support. The Neffos C5 features a 5-inch IPS HD display. Powering it is a quad-core MediaTek MT6735 clocked at 1.3GHz paired with an ARM Mali-T720 GPU. This is accompanied by 2GB RAM and 16GB of internal storage. This limited space can be expanded via microSD card (up to 32GB). The Neffos C5L is the more modest cousin of the C5 with a 4.5-inch FWVGA display with a resolution of 480 x 853. 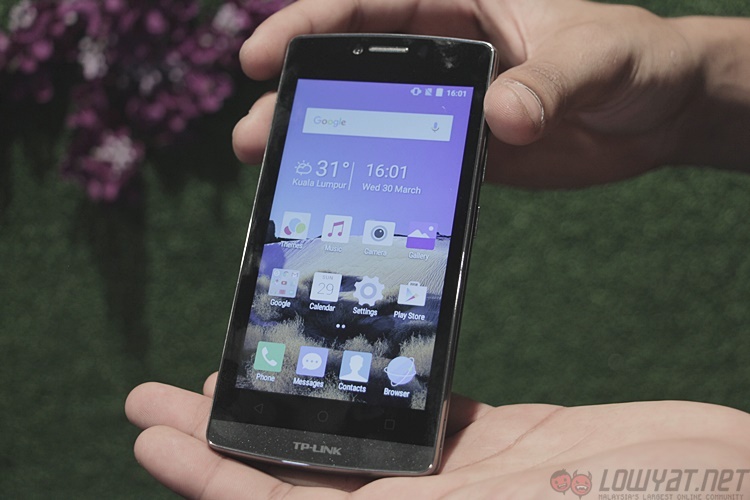 It features a Qualcomm MSM8909 processor with an Adreno 304 providing graphics. Rounding out the hardware is 1GB RAM and 8GB of non-expandable storage. As far as cameras go, you get what you pay for. 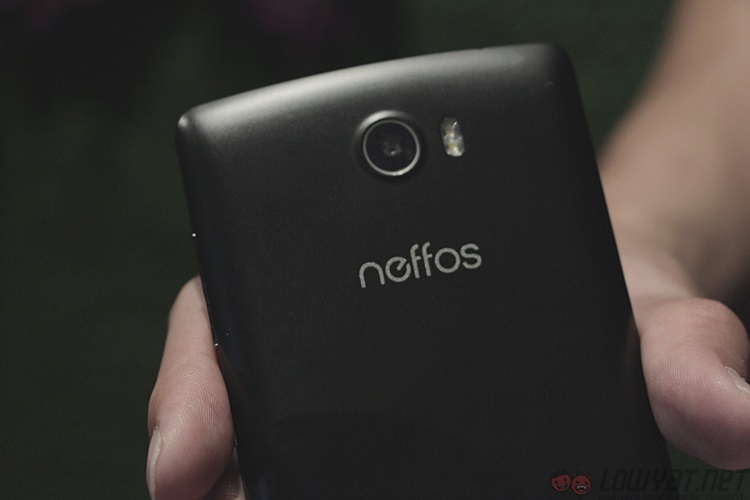 The Neffos C5 packs an 8MP rear camera with dual flash and a 5MP wide angle front camera. The C5L retains the 8MP rear shooter but loses the dual flash setup. It also has a much smaller 2MP camera on the front. Battery power is nothing to shout about with a 2200mAh battery in the C5 and 2000mAh powering the C5L. The TP-Link Neffos C5 will retail for RM539, while the C5L retails for RM359. Both will be available on Lazada from 12 April, with plans to get the device into stores at Low Yat Plaza in either May or June. 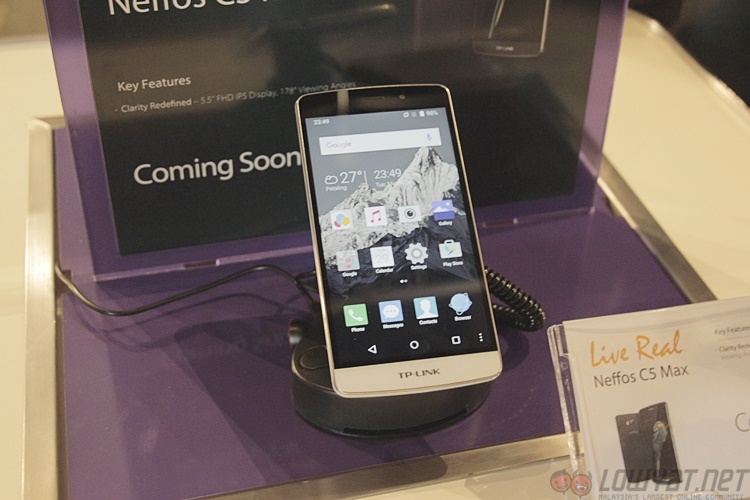 TP-Link also had a third device on display at the launch event with the Neffos C5 Max. There is little information about this particular device, although it appears to be a 5.5-inch device with a FHD IPS display running on the same Android 5.1 OS as the other two Neffos C5 smartphones. TP-Link was not forthcoming about any additional details about the C5 Max, but it should be appearing in stores soon enough. Update: TP-Link has got back to us about the storage on the Neffos C5L. It turns out that it does have a microSD expansion option of up to 32GB.